Datuk M. Rajamani thanked her lucky starts for having had people who took interest in her to guide her into becoming an established athlete. “It was hard times then, but I was lucky I had several people who shaped me up and I owe it to them where I am today,” said Rajamami in paying tribute. “But today despite all the facilities and means, athletes fail to do well for several reasons. For starters, parents do not support their children to take up sports. And if parents do not support, we have to ask the question why they do not. Then we have the problem of children who are pampered a lot,” said the 81-year-old two times Sportswoman of the Year, Sea Games four-gold medallist, Asian Games gold medallist and Olympian. “On the same note, I feel sad that athletes of yesteryears who have sacrificed so much to bring honours to the nation, have not been duly rewarded or looked after in their old age. “I am lucky that I had worked hard to have a better living and have support from my family, where my children are all doing well. But many are not so lucky and it pains me to see them suffer. Rajamani said that it was her father, V.Mailvaganam, who got off in athletics. “And I probably got his running genes from him. No he was not at athlete. My father who came from Sri Lanka told me that he was a very active person and never walked….always ran…. be it to school, shop or just to go anywhere,” said Rajamani laughing. “My early athletics career began in school as a member of the junior relay team as a Standard Four pupil of the Government English School in Tapah before moving to Ipoh as my father who worked as a storekeeper with JKR and was transferred. 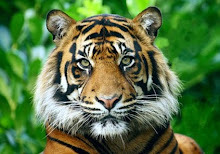 Here I trained by coach Pushpanathan,” recalled Rajamani. 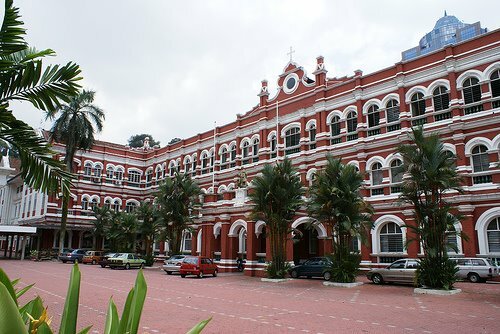 “After completing school at Raja Perempuan School, my father one afternoon took me on bicycle to the training ground to meet coach R. Suppiah. He told the coach that he did not want to see me in the house between 4pm and 7pm and to train me. “In six months Suppiah transformed me and helped me to qualify for the Tokyo Olympics . I began my career as sprinter (100m and 200m) but it was Supiah who noticed that I could run well over 300m during over-distance training and felt that I could do well as a quarter miler. “Supiah together with Bill Miller, who was a consultant, worked with me to set me off on my path. In 1964, at the age of 20, Rajamani burst into the national scene with sensational victories in the 200m, 400m and 800m all in record times at the MAAU national championship. Her performance earned her a ticket to Tokyo for the 400m and 800m. 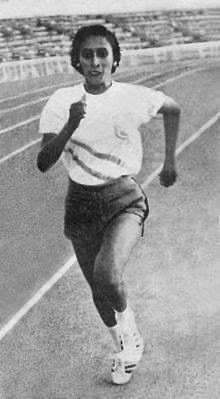 The following year at the 1965 SEAP Games in Kuala Lumpur, Rajamani established herself as the region’s track queen when she won the 200m, 400m and 800m gold medal, all in record times. She also ran in the 4 X 100m to help win another gold medal with a new Games record. 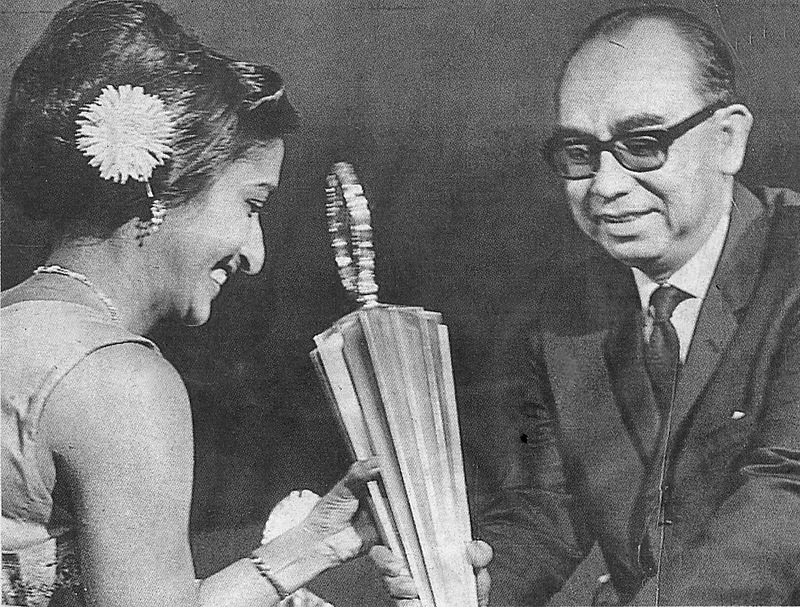 Rajamani said that was her most memorable moment in her short athletics career which spanned from 1962 to 1968. “It was on home ground, my father was there to see me triumph and I achieved all that in just three years. 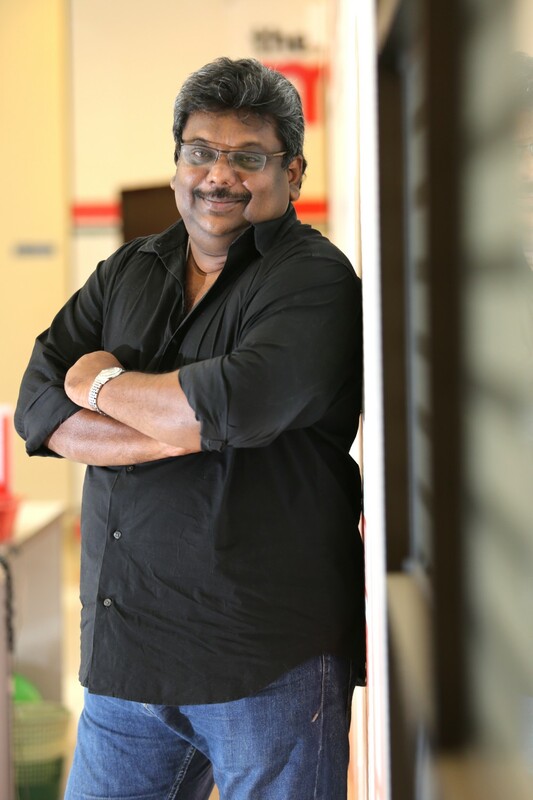 It was really memorable and till today recall the moments,’ said Rajamani. In the next SEAP Games in 1976 in Bangkok, Rajamani almost repeated her four gold medal feat and won the 400m, 800m and 4 X 100m, but only to settle for the silver in the 200m. Her performance in Bangkok saw her voted as the SEAP Games queen of track. Moving on to the next level, at the 1966 Asian Games, she outran the best in Asian to win the 400m gold medal in a Games record of 56.3. With that win she became the first Malaysian female athlete to win a goal medal at the Asian Games in any sport. Till today, Rajamani’s name together with other Malaysian athletes who won gold (seven) have their names engraved on the walls of the National Stadium in Bangkok. The others are M. Jegathesan (100m and 200m), Nashatar Singh (javelin) 4 X 100 relay team – Jegathesan, Mohd Ariffin Ahmad, G. Rajalingam and Thomboo Krishnan, Ng Boon Bee and Tan Yee Khan (men’s double pair) and Teh Kew San and Rosalind Singha Ang (mixed doubles). Sadly none of our icons’ names are engraved on the sporting walls of Malaysia, expect being inducted to the Olympic Council of Malaysia Hall of Fame. 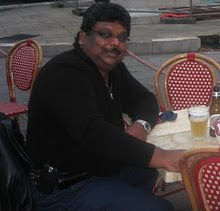 Rajamani was also inducted to the OCM Hall of Fame in 2004. Rajamani recalled that she was not even aware that she was in the race for medal in the 400m, until a sponsor approached her a day before and gave her new spikes and equipment. Rajamani also competed in the Commonwealth Games in Kingston, Jamica the same year. Her performances at the 1966 Asian Games and 1967 SEAP Games earned her the National Sportswoman of the Year award back-to-back in 1965 and 1966. Just when things were looking up, tragedy struck when she was hit by lightning while training for the Mexico Olympics. “God had other plans for me. It was to be a short career although I personally felt that I was good for another four years,” said Rajamani. “I tried hard to make a comeback after I recovered from the lightning incident and even asked for a delay in trials for selection for the Games, but was denied. I decided to retire. “Being struck my lighting took a toll on me. I was unconscious for 18 hours and lost memory. “I only knew what had happened to me when a small girl in the hospital came up to me and showed a newspaper with pictures of me in it. As I was reading my father pulled the paper away from me. “It was the same time when I was told that the then prime minister, late Tunku Abdul Rahman Putra Al-Haj, was coming to visit me. In the end Tunku could not make it to see Rajamani because of other engagements but sent her a bouquet of flowers. Rajamani then turned to coaching and attended a specialist coaching course at the Institute of Physical Culture in Kiev, Russia. She coached several athletes and one notable athlete is Marina Chin. She opted out of her teaching profession in 1992 and joined the National Sports Council as a physical instructor. She was involved with the victorious 1992 and runner-up 1994 Malaysian Thomas Cup squad before retiring in 2006. Presently, Rajamani is actively involved with the National Athletes Welfare Foundation (Yakeb) championing for the welfare and betterment of both present and past athletes. Besides her activities with Yakeb, Rajamani a staunch follower of the Shridi Sai Baba sect, a mother of two daughters and a son and a grandson, she spends most of her time with her family and her prayers. She had lost a ten-year-old grandson three and a half years ago, and that had devastated her quite a bit.